A 5 day ‘paint-in’ in 5 minutes ! It is such a wonderful experience to be able to immerse myself into a large canvas and just allow the process to happen. This painting took me 5 days to complete and now hangs proudly in the Yoga Shala at Cortijo Las Salinas. Intuitive process painting is a powerful intuitive, spiritual and creative process and requires an deep connection to your intuition, feeling it, listening to it, and following it, completely freeing your creative self. 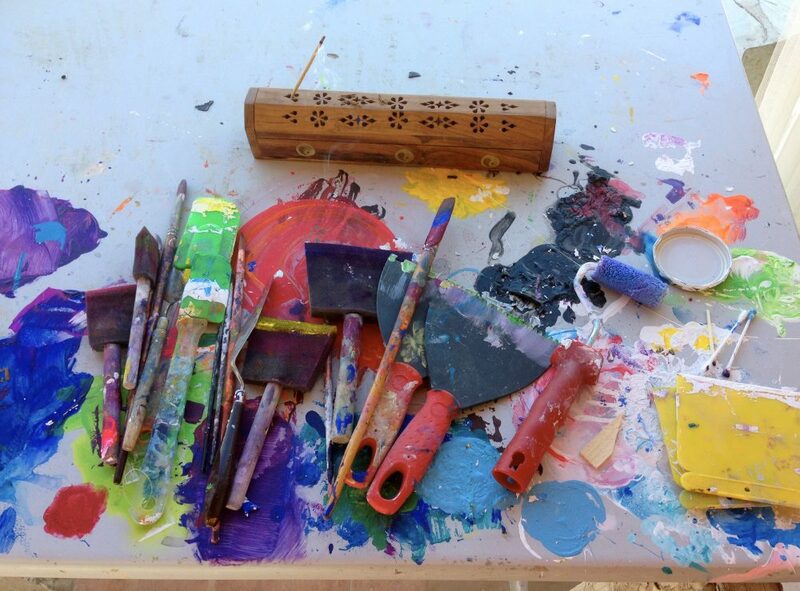 Art workshops and art holidays at the cortijo are often based around this style of painting, combined with yoga and meditation and always brings out surprising results. So get yourself a coffee or glass of wine, put your feet up and be mesmerised as you watch the painting unfold ……..